Along a busy road in the heart of Junagadh City lies one of India's least-known, yet most jaw-dropping, architectural oddities. A smashing blend of Gothic and Islamic ornamentation, the Mahabat Maqbara complex remains one of India's best kept secrets. 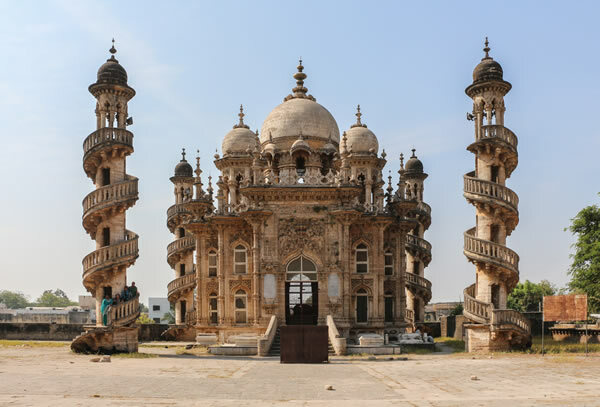 This striking structure is the mausoleum of Wazir Bahaduddinbhai Hasainbhai, one of the chief nobles in the Court of Nawab Mahabat Khan II of Junagadh. Construction on the yellow-walled complex began in 1878 by Mahabat Khanji and was completed in 1892 by his successor, Bahadur Khanji. Over a decade's worth of work culminated in elaborate carvings on the buildings' inner and outer façades, fine arches, French-style windows, columns, and shining silver doorways. On the adjacent mosque, each minaret is encircled from top to bottom with winding staircases. Both buildings are topped with distinctive “onion dome” rooflines. 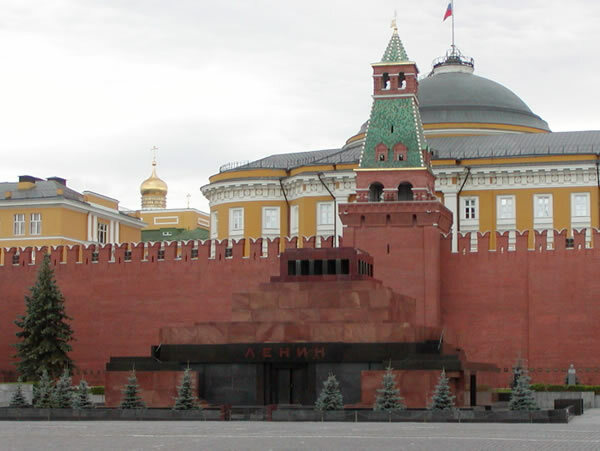 Lenin's Mausoleum, situated in Red Square in the center of Moscow, currently serves as the resting place of Vladimir Lenin. His preserved body has been on public display there since shortly after his death in 1924, with rare exceptions during wartime. Two days after Lenin's death, architect Aleksey Shchusev was charged with building a structure suitable for viewing of the body. A wooden tomb was built in Red Square by the Kremlin wall, and Lenin's coffin was placed inside until pathologist Alexei Ivanovich Abrikosov determined that it would be possible to preserve the body for a longer period. 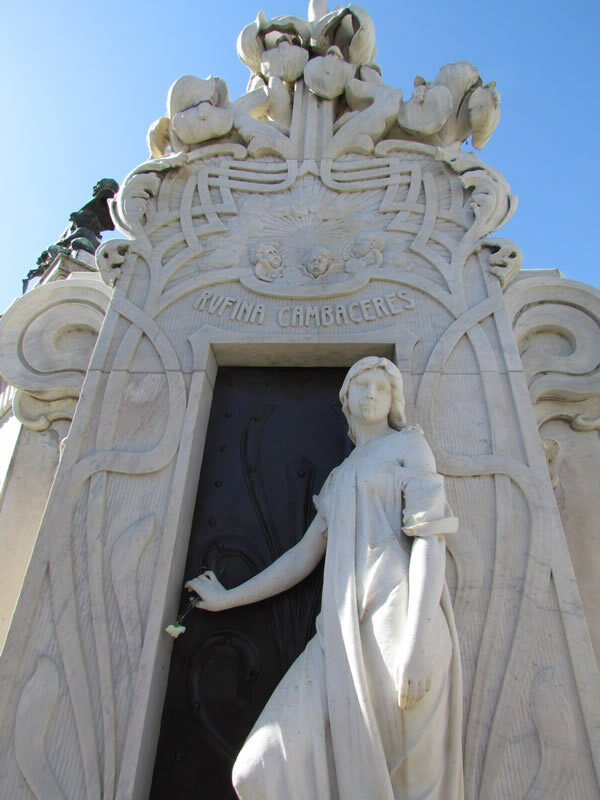 In 1930, it was put in a new mausoleum of marble, porphyry, granite, and labradorite. 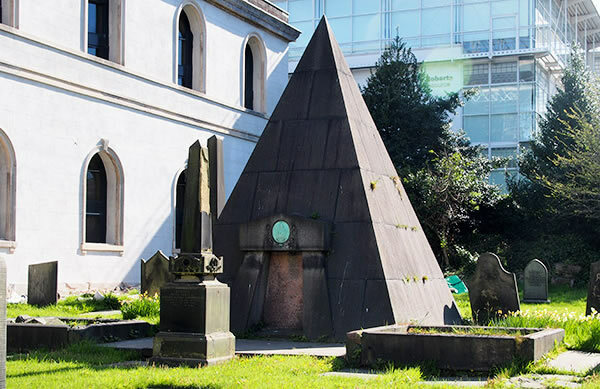 Making a distinctive appearance in the graveyard of St. Andrew's Church, Rodney Street, Liverpool, is the 15-foot high pyramidal tomb of British civil engineer and civil engineering contractor, William Mackenzie. The tomb lies in what is reputed to be one of the most haunted areas of Liverpool. A wonderfully improbable local legend tells the story of how McKenzie was supposedly entombed seated at a table with a winning hand of cards in his bony fingers. As an inveterate gambler, he bet and lost his soul in a game of poker with the Devil and figured that if he was never buried, Satan could never claim his prize. Acclaimed, derided, and memed actor Nicolas Cage has long been known for his eccentric behavior both in front of the camera and in the real world. 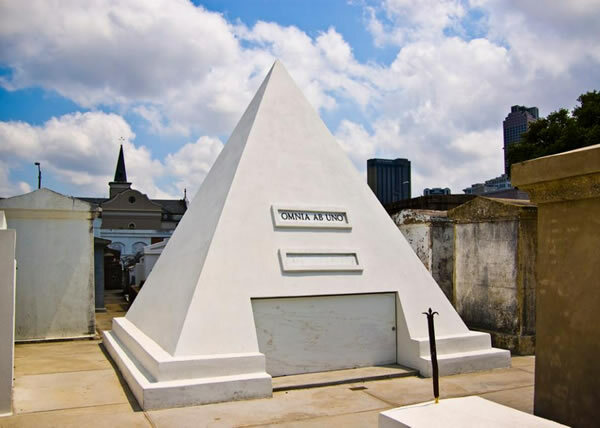 It seems Cage plans to continue this legacy into death as well, thanks to the odd pyramid-shaped mausoleum he purchased in a famed New Orleans graveyard. Off the dusty road between Lake Titicaca and the former Incan capital of Cusco, Peru, is the quiet town of Lampa. Founded in the 16th century, this Spanish colonial outpost is known for a more modern addition—the bizarre tomb attached to its historic church. Next to the Iglesia Santiago Apóstol is Enrique Torres Belón's freaky mausoleum, a silo of bones capped by an aluminum replica of Michelangelo's Pietà. 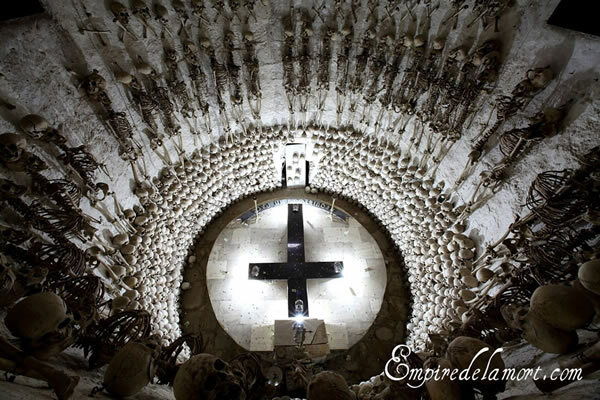 The otherworldly tribute is lined with hanging human skeletons and hundreds of skulls exhumed from the town's cemetery and the crypts beneath the church. At the bottom is a black marble cross, whose lighting exaggerates the eerie shadows cast by the macabre wall hangings. From the outside, the Jardines del Humaya Cemetery, in Culiacan, Mexico, looks pretty ordinary, but the deeper you go, the more you get the impression that the place is like rich suburb full of over-the-top McMansions. 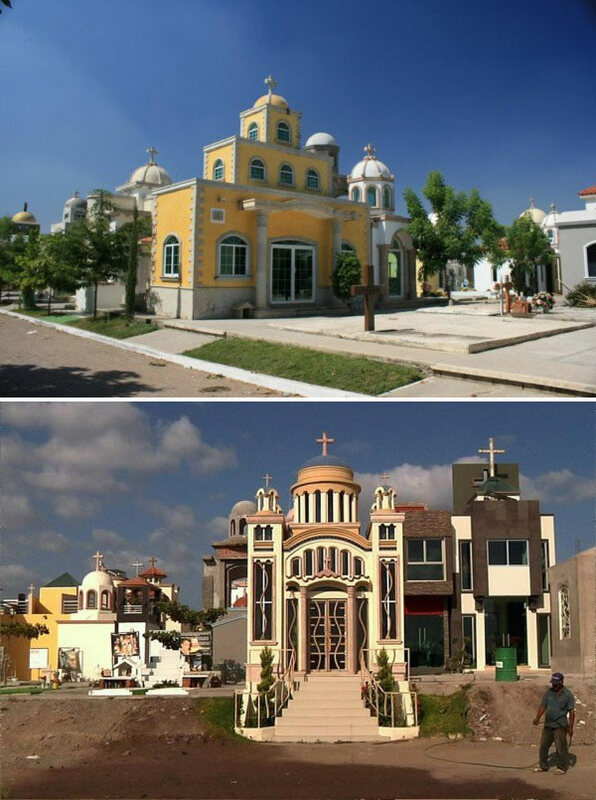 These are actually the world-famous mausoleums of some of the most ruthless “narcos” in Mexico. They say you can't take it with you when you go, but that doesn't mean some people don't try, or at least take it all the way to the doorstep into the afterlife. 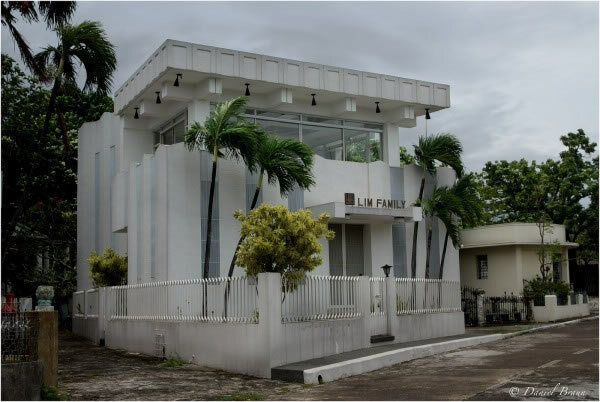 Even in death, members of the dreaded Sinaloa cartel love nothing more than to flaunt their ostentatious lifestyle in the form of elaborate mausoleums that cost a lot more than an average family home. Jardines del Humaya has become famous for its chapel-like tombs, with people from all over Mexico, and sometimes abroad, traveling there just to see them in person. 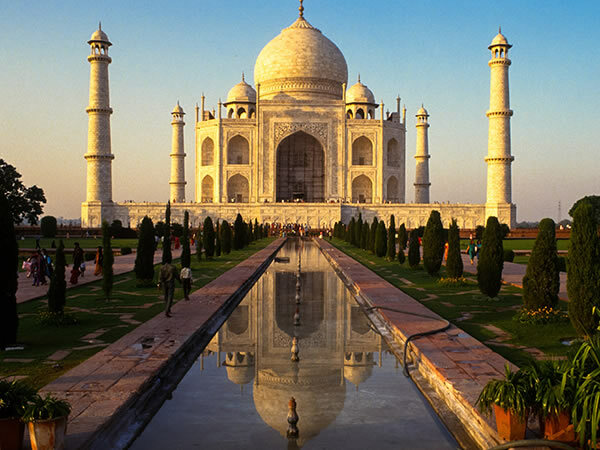 And it's not just the outside that's impressive about these extravagant mausoleums. According to several reports, many of them come with modern amenities that many Mexicans can only dream of, like 24-hour air-conditioning, living rooms, bedrooms, fully equipped kitchens, bulletproof glass, alarm systems, and wi-fi—all so that visiting families and friends can enjoy their stay. Death doesn't put an end to the luxurious lifestyles of some of Manila's wealthy Chinese residents. They are buried by their loved ones in a mammoth graveyard known as the Chinese Cemetery of Manila. This place is a small neighborhood in its own right, with many tombs the size of mansions, and all modern amenities included! The ginormous mausoleums lining either side of two-way streets within the cemetery are equipped with state-of-the-art facilities including fully-functioning kitchens, bathrooms with luxury fittings, and plush bedrooms for visiting relatives. Some tombs even have full-time residents who don't seem to mind sharing their living space with the dead. The mausoleum stands on a high, wide terraced platform with two deep vaulted cells on all four sides. 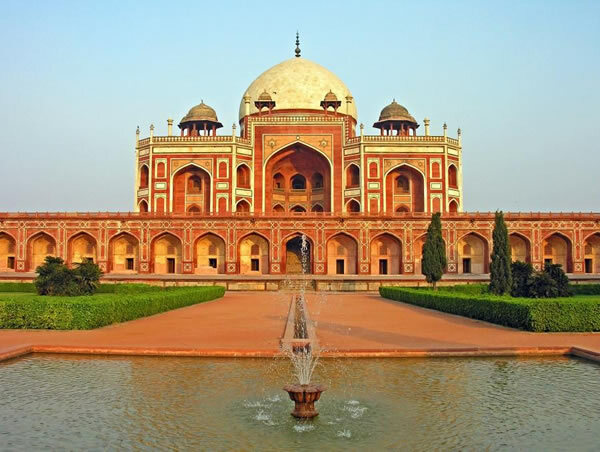 It has an irregular octagon plan with four long sides and chamfered edges and is surmounted by a 42.5 m high double dome clad with marble flanked by pillared kiosks (chhatris). The domes of the central chhatris are adorned with glazed ceramic tiles and the middle of each side is deeply recessed by large arched vaults with a series of smaller ones set into the facade.